Yesterday I shared the beauty and wonder of driving on the Beartooth Highway. The hubby had surprised me with a short getaway and escaped the farm to explore the All American Road. As you could see from the photos the vistas were just stunning. I would love to go back. 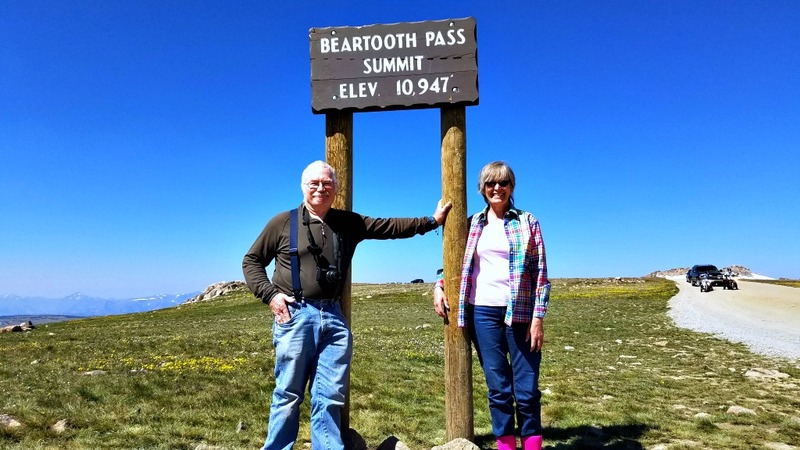 The Beartooth Highway is not accessible all year round. It opens sometime after Memorial Day and closes usually by mid-October. The weather just gets too crazy and there have been years with upwards of 30 feet (9+m) of snow. The timing does give you a good window to make the trip if you really want to do so. The highway itself is not long – only 68 miles – but don’t just consider that a short jaunt. 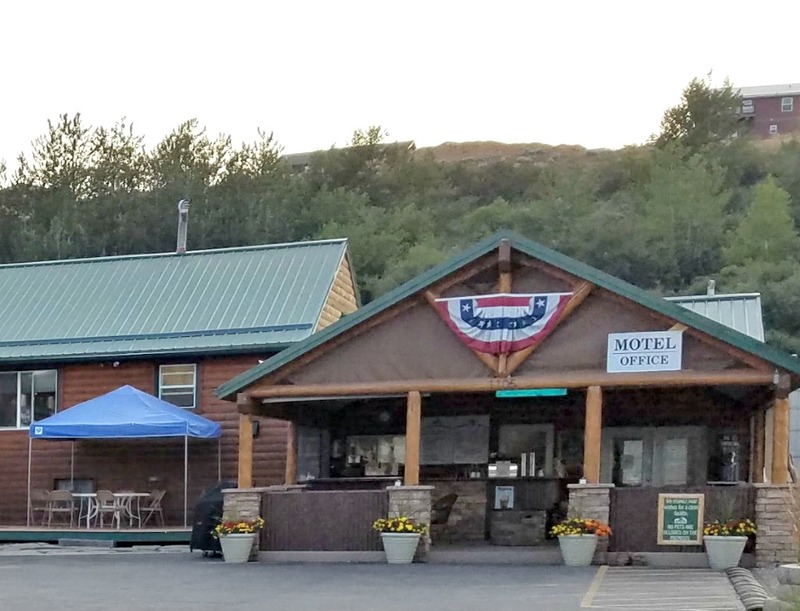 The whole point of this drive is to enjoy the scenery; there are many pull outs and scenic lookouts and you will want to take advantage just to gawk at the views. It is also a very twisty, turny road so you can’t go fast. Recommendations state that you give yourself three hours for the best experience. Not to mention a break for lunch at the top – there is a lovely spot to sit on a rock, eat your sandwich (or whatever) and just enjoy the view. 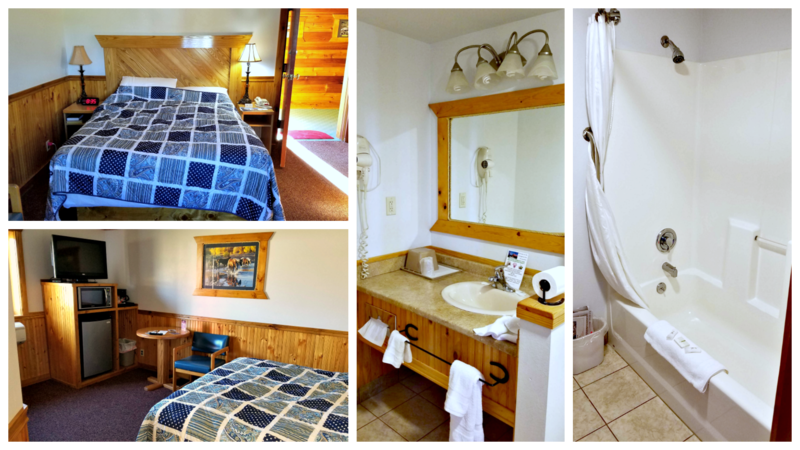 Start your trip in Red Lodge. This way you will not be driving into the sun. This was one of the suggestions that the hubby found over and over again as he researched the trip. Dress in layers. Red Lodge is at 5.568 ft (1697m), the Beartooth Pass is at 10,947 feet(3,337m) and Cooke City is at 7,608 (2,319m). It could well be warm when you start and then you find it chilly at the pass. Not to mention the fact that there was a snowstorm on the Highway on August 5, 2018! 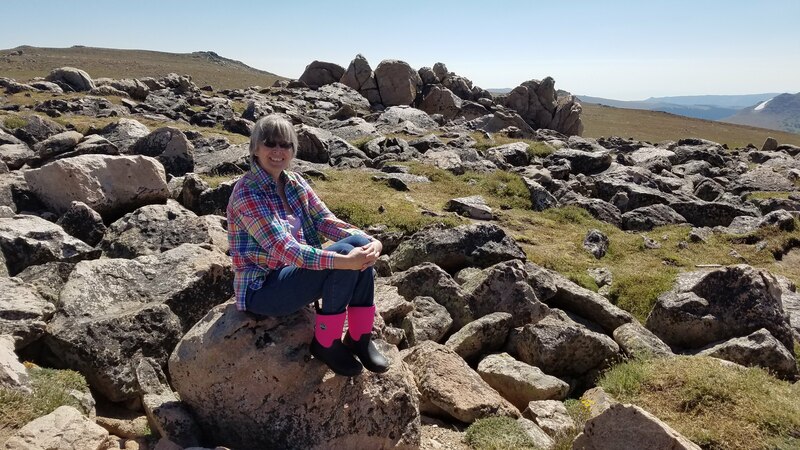 Wear comfortable shoes, preferably boots, or hiking boots – especially if you truly plan to explore the various areas or you plan one of the short hikes. I saw people in flip flops trying to navigate very rocky terrain. Make sure you have a hat or sunscreen or both. The sun is strong. Bring plenty of water. You need to stay hydrated at higher elevations. You will be out of cell phone range. Enjoy it. Yes, take pictures – lots of them; you don’t have to post them immediately to social media. Talk to your fellow travelers – they have some very interesting stories to tell. We met people from all over the country. We were two of the few Montanans on the road that day. I hope these tips help you as you plan your trip to this beautiful, scenic All American Road. Our trip was just three days but it was a perfect escape for both of us. On the first day we drove from home to Red Lodge, Montana. It was easy to find a place to stay as there were many places – we didn’t want to spend a lot of money so we found the Alpine Lodge. It was a somewhat classic motor lodge type motel. 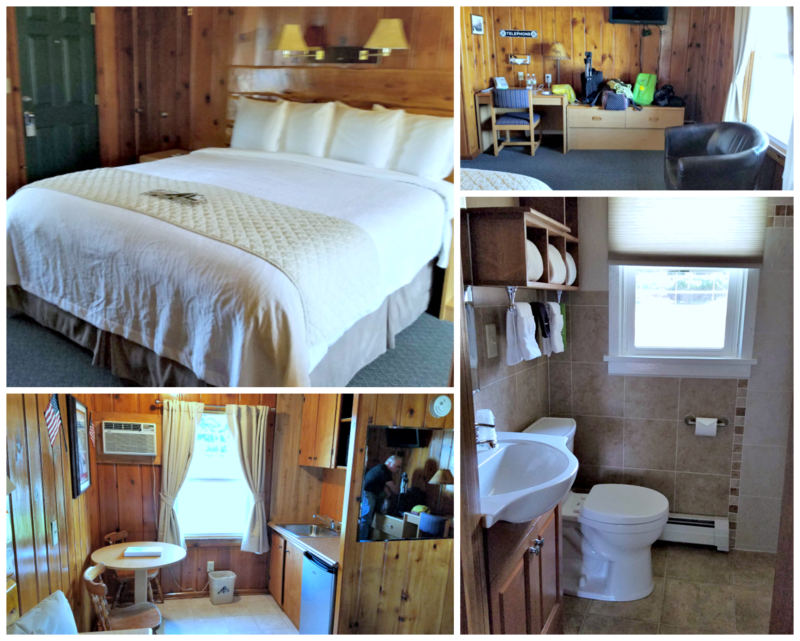 Our room was quite large with a king size bed, kitchenette, a sitting area and a good sized bathroom. Complimentary water was provided. The room was spotless. There were plenty of towels and anyone we ran into was friendly and helpful. Breakfast was included in the price of the room. It was quite the meal too – I don’t eat in the morning because I just don’t feel well but I did go over to have some coffee. It is served on the porch of the office building and is cooked to order. You can have eggs, waffles, bacon and more. Specialty coffees and juices were available for a small charge. The regular coffee was delicious. For dinner we went into the town of Red Lodge to just walk around and find what we might find. The menu at piccola cucina at Ox Pasture won the day and so we went in. The restaurant was quiet when we went in but it quickly filled. The menu was very inviting. At first the service was very good. We placed our orders and anxiously awaited our meal. We split a Caesar Salad; it was definitely large enough for two people. 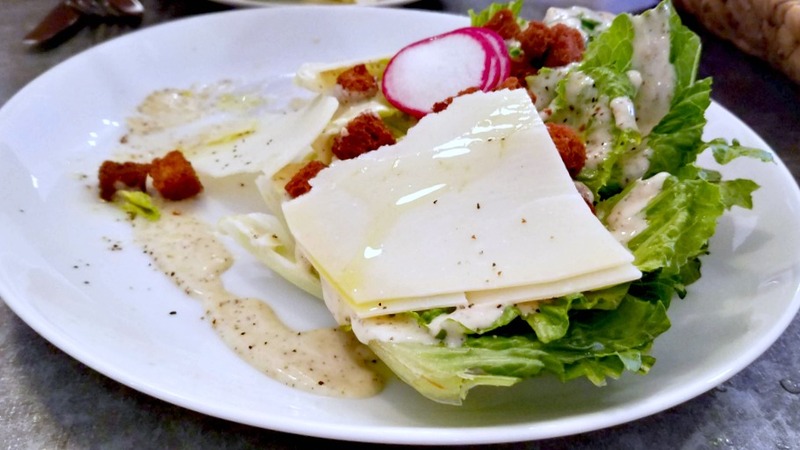 It appeared to be a romaine head, cut in half with lots of creamy dressing with slices of cheese on top and croutons. This did make it a trifle difficult to eat as it was a very labor intensive salad – lots of cutting. In all truth it had way too much cheese. And this from someone who adores cheese. The dressing was decent but the salad on a whole lacked salt. I chose the special for the night, orrichiette with calamari in a light tomato sauce. The hubby had penne in the same sauce. 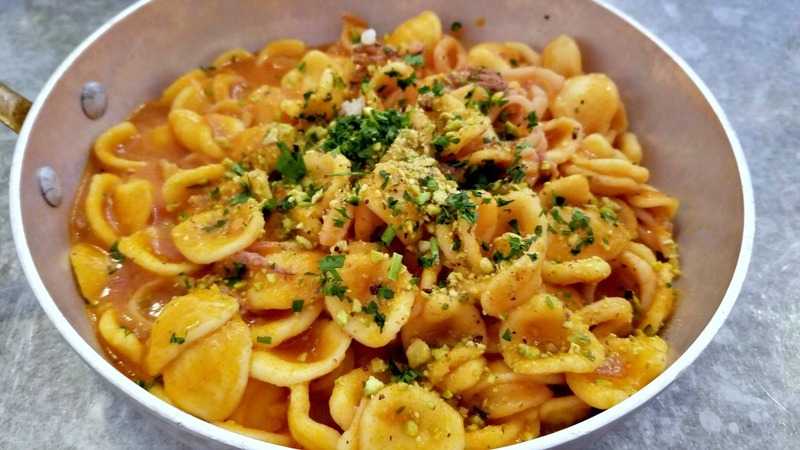 All of the pastas are house made. All meals come served in little fry pans which was cute. My pasta was just a minute or two short of being done but it was still good. The sauce was delicious – rich, buttery and full of tomato flavor. The calamari cooked perfectly. I didn’t understand the pistachios sprinkled on top for they didn’t to anything to enhance the dish. The hubby’s penne were cooked perfectly. Then the service which had been OK to that point completely fell apart. We sat and we sat and we sat. Our waiter visited his tables on either side of us but ignored us. We finally asked for our check and….nothing. Again we asked and it arrived but minus my entree. It was pointed out and then we had a correct check and we paid and left. 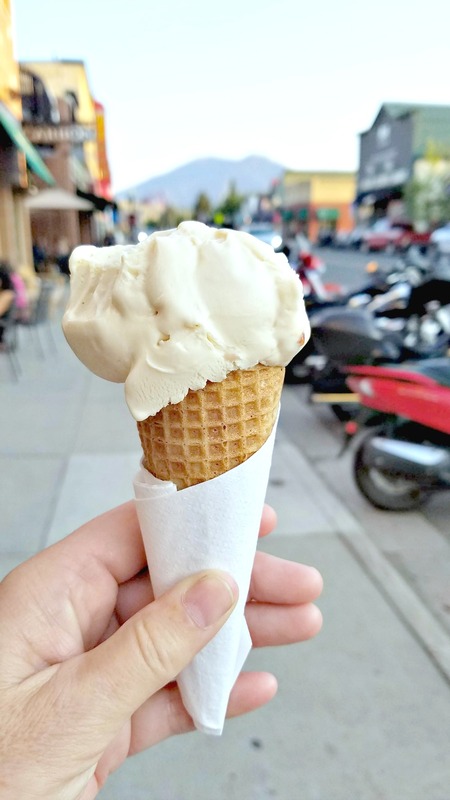 For dessert we found a favorite – ice cream. It was very good – from a local favorite, Willcoxson’s. Then it was back to the motel for a good night’s sleep so we could set off in the morning for the drive and our second overnight in Livingston. After our beautiful day on the Beartooth Highway and the drive through the Lamar Valley we headed to our second hotel, the Livingston Inn. 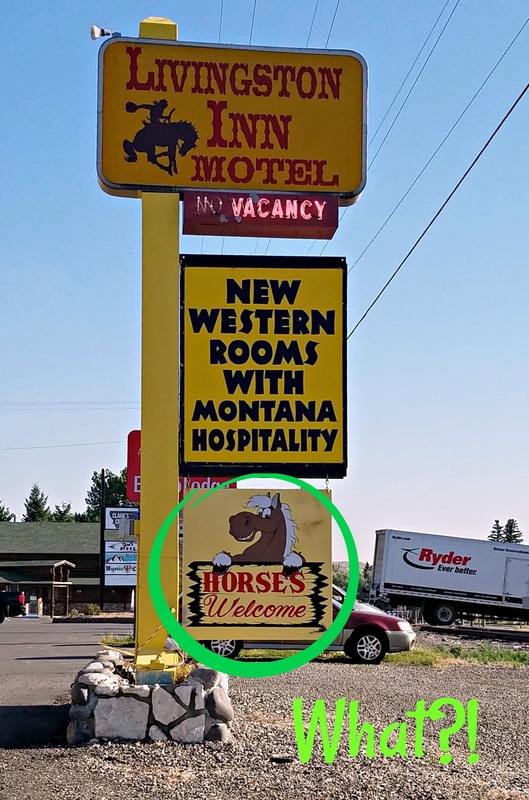 It was good to know that horses were welcome. Actually this is a pet friendly motel so if you are traveling with animals it would be good stop for you. Although I doubt you could fit your horse in the room. The rooms here were a bit smaller than the one in Red Lodge but just as clean and welcoming. In fact there were some salt water taffies waiting for us on the side table. I ate them all. This room had a queen bed, a small ‘fridge and a bathroom. You really don’t need more when you are only staying one night but it would have been equally comfortable for a longer stay. No breakfast here but there is a diner across the street although how long it will be there is anyone’s guess. Service was very, very slow. Which is not a good thing for the breakfast crowd. We went out to dinner in Livingston too but I had left my phone charger cord in Red Lodge so I have no photos. Next time! Livingston does have a sweet downtown full of shops that would be fun to explore but we got in past their closing time. Are You Ready to Plan a Trip on the All American Road? 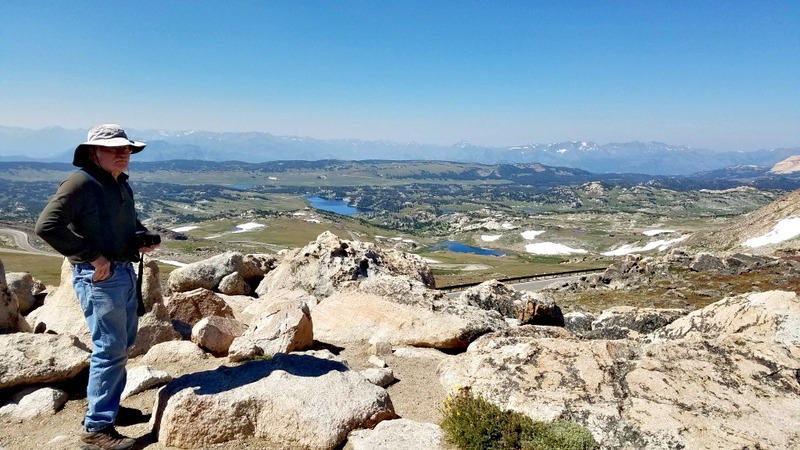 If you come to Montana and plan to visit the Bozeman/Yellowstone area it would be easy to add a tour of the Beartooth Highway to your trip. The All American Highway leads to the Lamar Valley in Yellowstone so you can take advantage of your entrance pass to the park and see some truly extraordinary scenery. It is well worth the drive – I can attest to that. Plus you get to drive to almost 11,000 feet and feel like you are standing (sitting?) on top of the world.